If you’ve never tried Kona coffee, you may be wondering what all the fuss is about. Well, Java aficionados swear that Kona is so silky-smooth, aromatic, and delicious that once you’ve tasted it, you’ll never go back to any other bean. But before you rush out to buy a sack of Kona beans, a word of warning. Kona coffee is reputedly the most expensive coffee in the world. And this fact hasn’t escaped the notice of scammers who would seek to dilute their product’s Kona content with cheaper, inferior beans. Or use no Kona beans whatsoever. So, the crew at Roasty have researched and tracked down a selection of genuine Kona coffees for you. 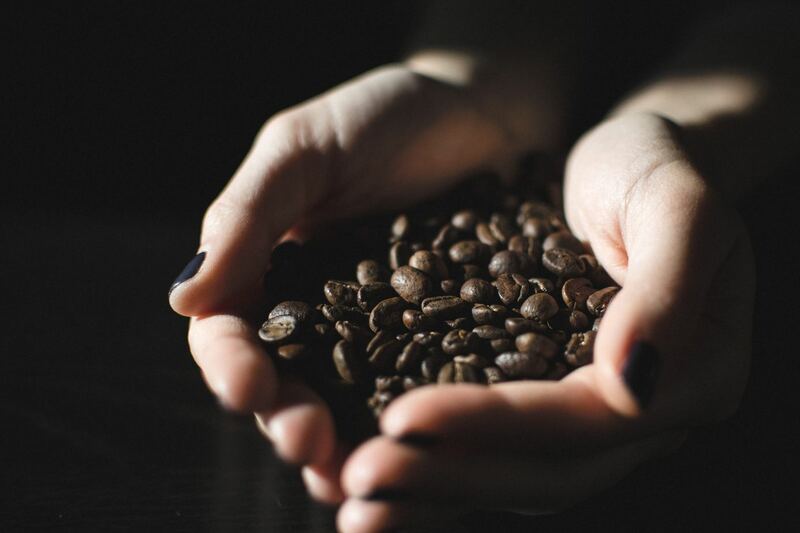 But before we get to the buyer’s guide section of this article, let’s take a closer look at Kona coffee to see why it’s such a big deal and commands such a big price. Kona coffee is an Arabica coffee that’s cultivated on the slopes of Mauna Loa and Hualalai in the southern and northern districts of Hawaii’s Big Island. Kona coffee beans are grown in perfect conditions. The mornings are sunny and the afternoons bring rain or cloud. The climate is mild, and there’s usually little wind. The mineral-rich, fertile volcanic soil that helps the coffee plants to thrive adds to this coffee grower’s paradise. Also, each Kona coffee farm produces a very distinct type of bean, depending on its individual microclimate. How cool is that? But what does Kona coffee taste like? The flavor profile of genuine Kona coffee is unique with a mixture of six characteristics, each of which makes Kona unparalleled in the world of coffee. The first thing you’ll notice when you brew a cup of Kona is the sweet fragrance that the brew exudes. Your first sip of Kona will be sweet and rich, yet mellow, with a nutty, honey-like taste that’s reminiscent of caramel, butter, cocoa or fruit. Plus, the brew is naturally very low in acidity, so it’s gentle on the digestion and smooth on the palate. You’ll also enjoy a lingering, bittersweet aftertaste of citrus or nuts on your tongue. As well as the wonderful flavor of Kona coffee, its physical effect is unique too. Kona won’t give you the jitters like a regular cup of Java does. In fact, Kona has the opposite effect, making you feel calm, but rejuvenated too. This profile varies from farm to farm. Some beans may have more of a berry aroma, whereas others give a distinctive vanilla scent. The flavor notes can vary somewhat too, but all Kona coffee beans produce a brew that’s rich, mellow, smooth, and full of flavor. So, now we have your taste buds tingling, let’s take a look at our favorite five, genuine Kona coffee brands. 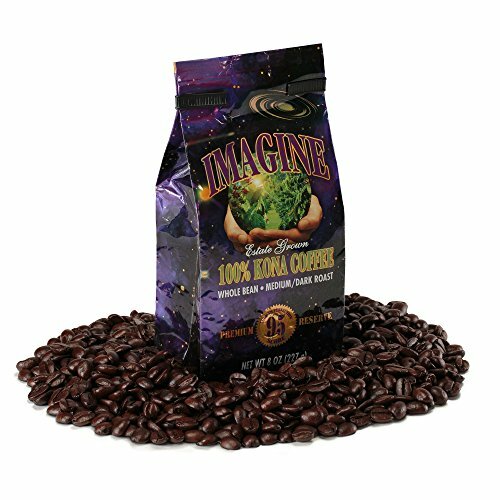 What makes Imagine’s 100% Kona beans so delicious is the amazing flavor character and profile. The coffee plants are shade-grown in rich volcanic soil at an elevation of 2,220 feet, resulting in a bean that’s naturally very low in acid. These gourmet beans are graded Extra Fancy, making them the very best you can buy! 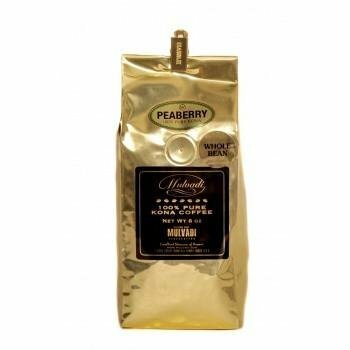 The sweet, robust flavor of this medium dark roast premium coffee is rich and intense without any trace of acidity or bitterness. The beans are air-roasted, making them perfect for drip coffee, French press, automatic coffee makers, and for cold brewing. Kona Bloom 100% whole coffee beans have the coveted Extra Fancy grading. Small local growers on the Big Island source these hand-picked beans. 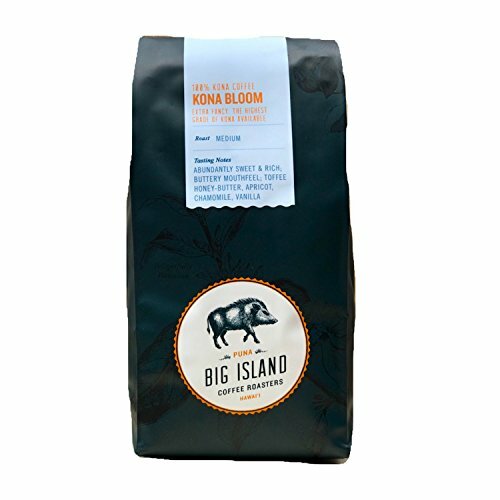 Kona Bloom is a medium roast coffee that produces a brew imbued with bright, floral, peachy tones. Flavors are of cacao, honey butter, and toffee, supported by a mellow, silky mouthfeel. The producer recommends enjoying this Kona coffee black and brewed using the drip or pour over method as an accompaniment to pastries or sweet Belgian waffles. Mulvadi coffee contains 100% Kona, hand-picked Peaberry coffee beans, dark-roasted to give an intense, strong flavor. Espresso lovers will adore Mulvadi coffee, although the flavor may be too intense and bitter for some. Hawaii Roasters 100% Kona coffee is grown on a tiny plantation. There, it enjoys ideal growing conditions in volcanic soil under warm morning sunshine and afternoon cloud cover. The coffee cherries are handpicked at the peak of ripeness, and then sun-dried to bring out the coffee’s characteristic flavor. The beans then undergo artisan micro-roasting at the producer’s sustainable farm in small batches, helping to ensure maximum freshness in every bag. 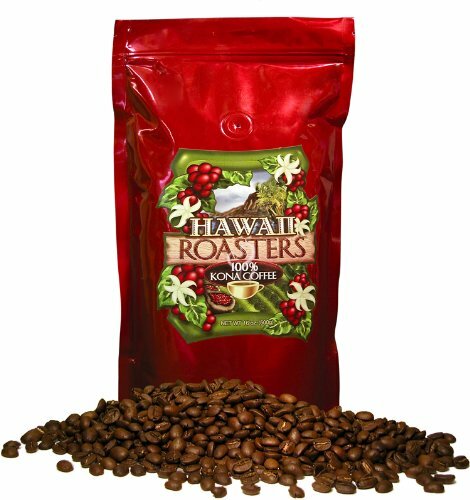 This medium roast Kona coffee is known as a “full city roast,” producing a mild, delicate flavored brew. 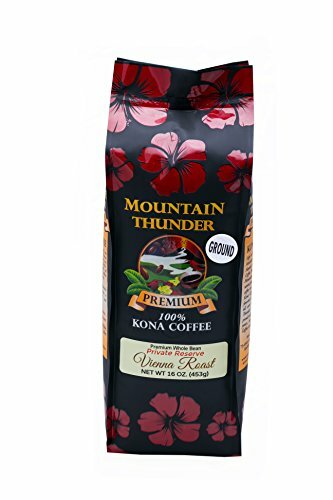 Mountain Thunder 100% Kona coffee is grown at high-elevation in the heart of the world-famous Kona Coffee belt on the Big Island of Hawaii. These beans are grown, processed and roasted on the slopes of the active Mount Hualalai volcano. This area provides perfect growing conditions with its volcanic soil, mild climate, light winds, ample rain during the summer, high elevations, and sunshine. The beans are cleaned, graded, and processed through a Satake Optical Color Sorter, which removes any black, orange, and yellow beans that can leave a bitter taste. The beans are roasted to produce a French or Vienna roast. Vienna roast has a chocolatey, nutty flavor with overtones of cinnamon. What makes Kona so expensive? One thing you’ll have noted about all our recommended Kona coffees is that they are a heck of a lot pricier than your standard caffeine fare. Unlike many cheaper coffees that are grown on huge plantations, producing Kona on such a small scale is a labor-intensive and time-consuming process. The growing season for Kona beans extends to a full 12 months! In February and March, the coffee plants bloom and natural pollination takes place. From April through August the fruits develop. September through January sees the harvesting of the ripe fruits taking place. Mother Nature is happy to make you wait for your Kona coffee … it takes three years for a Kona coffee tree to bear fruit! Even then, each tree produces only around 25 pounds of coffee cherries. When you bear in mind that eight pounds of coffee cherries produce roughly one pound of coffee, you can see that a single coffee tree will yield just about three pounds of useable coffee per season. And there are currently around 700 Kona coffee producers on Hawaii, producing the whole world’s supply! When the coffee fruit is ripe, it turns from green to deep red; that’s why the ripe fruits are called “cherries.” Every cherry contains a couple of seeds, which are the coffee beans. The producers hand pick the coffee cherries; a massively labor-intensive process. So, why not use a machine? Well, coffee cherries don’t ripen all at the same time. Therefore, picking out the ready fruits requires a discerning human eye. Also, although the volcanic landscape of the Kona growing district is perfect for growing coffee, it’s hilly and rocky, making mechanical cultivation and harvesting impossible. Kona coffee cultivation is, therefore, the most labor-intensive way of producing coffee in the world! That’s another reason why the end product is so expensive. Harvesters choose coffee berries based on their firmness, color, and size. A machine then strips away the flesh and pulp, leaving the coffee beans. The beans are then cleaned and sun-dried. After the beans are harvested, the whole processing process takes just 24 hours! Such a quick turnaround is essential to prevent the beans from spoiling and to keep them fresh. So, we’ve recommended five of the best, genuine Kona coffees we could find for you to try. Now, like most home baristas, you’ll no doubt want to go off-piste at some point and check out what else is out there on the market, just to be sure you’re not missing out on anything. Unfortunately, it’s pretty common practice to sell coffee that’s labeled as “Kona” when it’s actually just 10 percent Kona and 90 percent Brazilian or Colombian in origin. There’s nothing illegal about this. However, you might as well save your money and just buy a bog-standard Brazilian blended coffee for all the difference in flavor you’ll get with these products. If you want to enjoy the real thing, you really must buy coffee that is certified as 100 percent Kona. There are a few ways of checking that the coffee you’re buying is genuine Kona. Look carefully to see if the brand makes any mention of Hawaii in their company blurb or product description. If it doesn’t, walk away. Check the brand’s website to see where they source their beans too. The coffee must come from the Kona district on Hawaii’s Big Island; anywhere else and it just ain’t Kona. Avoid brands that mention “Hawaiian flavors,” but don’t make any mention of the Kona district. Much of Hawaii is not good coffee-growing territory at all; it is either too wet or too hot. Some brands using coffee from these areas will attempt to boost sales by marketing their beans as having that desirable Hawaiian flavor or taste. But they’re NOT genuine Kona! In a nutshell, you’re looking for a brand whose label mentions both Hawaii and Kona. Better still, look out for those who name-drop the Mauna Loa or Hualalai volcanoes. Does the Kona make the grade? Even though Kona is a small coffee-growing region, different regions across the district produce various qualities of coffee. Every batch of Kona coffee is tested and graded by the Hawaii Department of Agriculture (HDA). If you want the best of the best, be sure to look at the HDA grade of the Kona coffee you’re buying. Grading is based on various criteria, including the shape, size, rarity, moisture content, and any flaws in the beans. Generally, the larger the coffee beans, the more flavor they will give. Roasters prefer beans with the fewest defects. If the coffee beans have chips, hollows, or deformities, they won’t roast uniformly and will not produce as much flavor as beans that are perfect. There are eight grade bands: Extra fancy, Fancy, 1, Select, Prime, 3, Natural Prime, and Mixed Natural Prime. Beans graded “Extra Fancy” have the very best quality of any Kona bean you can buy. And it’s the most expensive. Coffee connoisseurs consider Kona beans graded 1 through 5 to be a top-class bean, and there’s not much difference in flavor. The only grade to avoid is No. 3 coffee. That’s because this grade contains the highest permitted rate of defective beans – 35%. Most genuine Kona producers have their own websites and you can buy directly from them. You can find a list of producers on the Kona Coffee Farmers official website. Buying direct from KFCA member farms means that you get the freshest coffee and you’ll be supporting small farmers too. You can also buy genuine Kona coffee from certain producers through Amazon.com. If you’re a true coffee addict like us here at Roasty, you need to try Kona coffee at least once before you die. Period. Although genuine Kona is pricier than other coffees, it’s worth the expense for the taste experience you’ll be rewarded with. Just remember to savor each sip of the delicious, smooth, aromatic brew. And take your time. Find out the differences between arabica and robusta coffee beans so you know what you are buying when you head out to stock up on coffee beans. What's the difference between washed and unwashed coffee? Learn more about your coffee beans and how they are processed right here.